Broadcom got a jump on Mobile World Congress this week, announcing two steps forward in its fledgling LTE silicon business. On Monday, the company introduced a turnkey solution for LTE smartphones to be priced under US$300. On Tuesday, it announced a test, on a live carrier network in Finland, of a high-end handset chip that can use so-called Category 6 LTE with speeds as high as 300Mbps (bits per second). While going up against market leader Qualcomm in LTE, Broadcom is also pursuing other hot technology trends, including Arm server chips, SDN (software-defined networking) and NFV (network functions virtualization). Overseeing all this is President and CEO Scott McGregor, who spoke with IDG News Service on Tuesday. This is an edited transcript of the conversation. 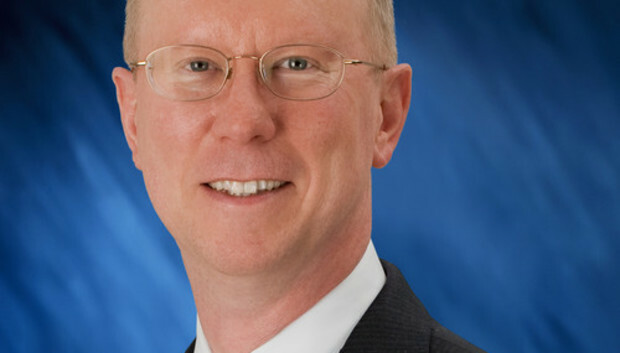 IDGNS: How does Broadcom plan to carve out a place in LTE? McGregor: One of the advantages Broadcom has always had is the breadth of [intellectual property] we bring to the equation. When we offer a solution for a phone, we basically offer pretty much everything in the phone. It's the baseband, it's the connectivity -- Bluetooth, wireless LAN, FM radio, GPS, [near-field communication], and a lot of other new technologies coming out, like wireless charging. We do the radio. We do the processor. ... We pretty much do everything except the commodity memory. We don't know of any competitor that has that breadth in the phone. The challenge we've had is that we're the relative new kid on the block. I said a couple of years ago that we were going to close the gap with Qualcomm, who is the leader in the market on processors and on baseband functionality. Today's announcement is especially important, because I would say it proves that we've closed the gap on the high-end baseband. Because they were only able to do this same test in a live network a week ago. They beat us by a week? I call that a tie. IDGNS: How can you translate that into closing the gap business-wise? McGregor: It's building trust in customers. For a customer to go with a baseband solution from us or anyone else, it's a large investment on their part. There's very much a desire to see diversity of suppliers in the market. Monopoly positions aren't particularly appreciated by the customers. The good news is, we have relationships with all the customers already, through Bluetooth and Wi-Fi and all the connectivity chips we do. IDGNS: What are the prospects for Arm-based processors in servers? McGregor: It's early days on that. I've learned that CIOs are some of the most risk-averse people on the planet. If they do their job really well, nobody knows who they are, and if they don't do their job really well, they get fired. So they generally don't do radical new projects and new architectures. They wait for somebody else to prove it. The guys who are going to look at Arm servers are the guys who own their own applications. Because they don't care about x86, they care about DMIPS per dollar per watt. The Arm processors are fundamentally a better cost equation for that. They're more power efficient and they cost less. I think you're going to see [webscale companies] start to build whole data centers that are based on Arm architecture. The early stage is that people have to get over the fact that it's a new instruction set and new architecture versus what they've had in the past, and these cloud guys will be the first guys to do it. The next challenge is that Arm processors, just by themselves, are commodities. That's a testament to how good the stuff coming out of Arm is. So I think you're going to see a commoditization of pure servers. I think what's interesting is, how do you start integrating a processor with, for example, switches and controllers and all the rest of the system to create an interesting architecture that's different from what we have today. And that starts getting interesting to a company like Broadcom. The whole concept of NFV is very interesting here, where you morph the network to move to apps processors versus network processors. And that really plays to our strength. We've announced some new products and new architectures that are very interesting in the high-end network processor space. IDGNS: SDN started as one specific idea and has become several different ideas, depending on who's talking about it. What role is Broadcom going to play in all this? McGregor: Broadcom is delighted however this goes: We are agnostic on it. Most of the guys doing SDN are doing it with Broadcom chips. We put some things in our chips to help them. Back to my comment earlier about CIOs being the most risk-averse people on the planet, NFV is interesting because you can add NFV capabilities into an existing system incrementally. SDN, you either need a green field, or if you're adding new applications, you could add them in an SDN fashion on top of your existing framework. So, it's a little harder to just add SDN than it is to do NFV. We think SDN's very interesting. We think people will deploy it, maybe just not quite as fast as some people are hoping for. IDGNS: Have the patent wars gotten out of control? McGregor: Yes. I would greatly favor patent reform in this country. We have a problem now that is impeding innovation and impeding commerce. [One thing] I favor would be more proportionality: You should be able to extract value from a licensee to the extent that your patent contributes to the overall thing, but in proportion to all the other patents that do. For example, there must be a million patents that apply to a smartphone, but everybody who goes to court asking for royalties on a smartphone wants 5 percent. That math doesn't work. It has gotten out of control, and we'd like to see a more orderly market.